Guys, You may be facing problem in Windows 8 while installing some old Games or software’s that it is asking you to enable or activate dotnet 3.5 framework like I faced while going to play Call of Duty Modern Warefare 2 online on fourdeltaone servers. That is because by default Windows 8 comes with .Net Framework 4.5 and the .Net Framework 3.5 features are not installed. Like this there are several programs may ask you to install this. And you can’t install this from your PC. It will ask you to connect to the Internet or try to use Windows Update. But you can’t install it from a local installation media or offline because when you double click on the offline installer i.e. dotnetfx35.exe it will show you the same prompt because it is also developed in earlier version of .Net framework. 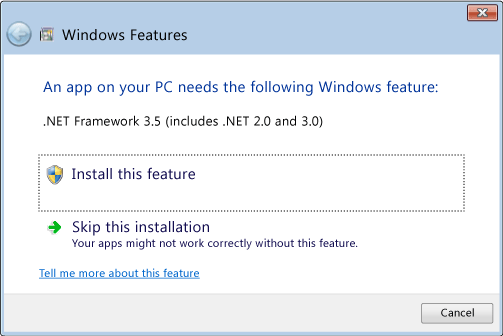 While you go on installing .Net 3.5 that you have previously downloaded you will see this prompt . So, what you can do is to resolve this is ..
Windows 8 installation DVD or setup files or iso of it. 1) Insert your Windows 8 DVD or Mount your iso file (Right on the iso and click Mount) in case you have the iso or copy your setup files to a directory. But remember the drive letter i.e. of the DVD or the Mounted iso or the path of the files where you have previously copied the setup files. 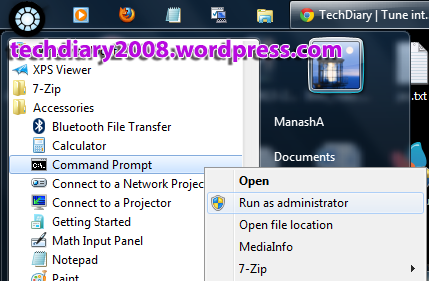 2) Now, run a elevated Command prompt as (Click: Start > Type cmd > Now right click on Command Prompt and click on Run as Administrator from the submenu). 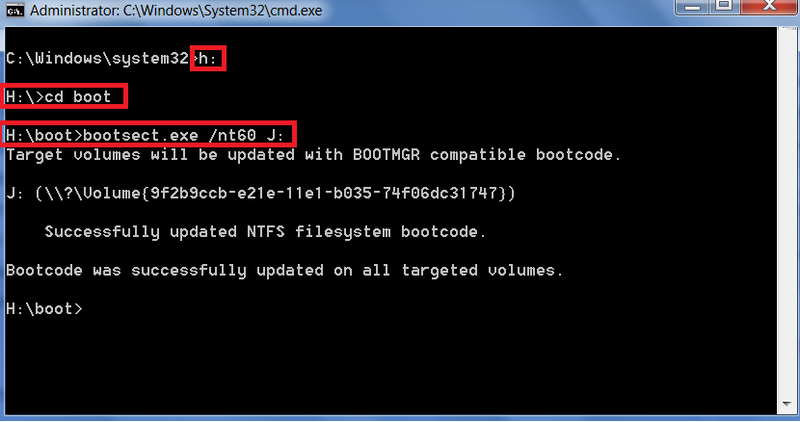 3) Now, copy the commands from below in the command prompt. After lots of request from our reader and followers now I am going post the best and very simple method to install Windows7 via USB drive. So, today I am going to post a article about installing windows 7 via USB drive, this because in-case if you got a net-book which doesn’t have the DVD drive or your DVD drive is faulty then you came to the right place. You can also use these step to create boot-able USB Disk for Windows repair disks/any windows Vista also. Ok, enough talks, lets get started. A Windows 7 DVD/Physical Disk or an ISO file of your copy of windows or the ISO or an IMAGE-file of what you want to make it boot-able..
USB Drive (4GB or higher depending on your Windows version. (You can even use external HDD also)(If you are creating repair disk than you can use 1GB is enough). A working system(recommended Windows-7) to prepare the USB drive. 1.) Plug in your USB drive to your computer. 2.) Open Command Prompt under administrator right. Start>All Programs>Accessories>Command Promt. 3.) 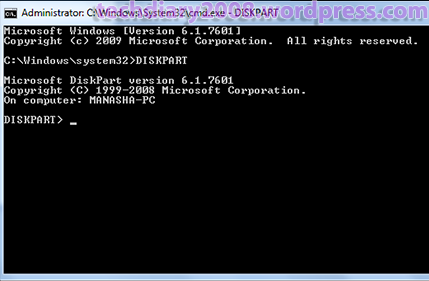 In the command prompt, type ” diskpart ” and press Enter. 4) Then type “LIST DISK” press ENTER(It will list all the HardDisk drives and removable drives). 7)Now type ” CREATE PARTITION PRIMARY ” and press ENTER. (It will create a primary partition on the USB drive). 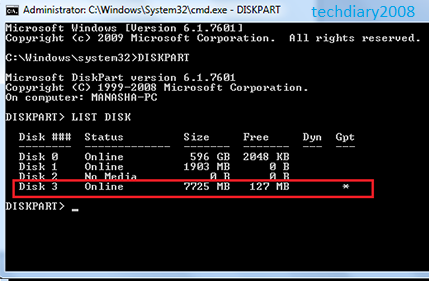 8)Now type ” SELECT PARTITION 1 ” (It will select the partition that you have just created). 9)Now type ” ACTIVE ” . (It will mark the partition as Active). 10)Now type ” FORMAT FS=NTFS QUICK “. (It will format your USB drive with ntfs file system). 11.) Now type ” ASSIGN “. 12. Now type ” EXIT “. 1.) Now, insert your WIN-7 DVD to your drive or Mount your ISO to the Virtual drive and remember the letter. (In my case it is H). 2.) Now, again start (an elevated command prompt) cmd as you did in previous step. 3.) Now, type “ h: “. (It will change your drive to H:). 4.) Now type “ cd boot “. (It will change your drive to boot folder). 5.) Now type ” BOOTSECT.EXE /NT60 J: “. (It will update your USB drives MBR to bootable). (Here J: is my USB drive). So, Now copy all the contents(or all files of the Win7 iso) from the DVD drive to your USB. whoaa!!!. That’s it your USB drive is now bootable. also you can temporarily select the boot device by using the start-up key of your BIOS.